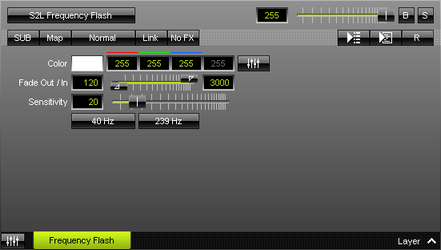 The MADRIX Effects are one of the most important parts of the software. 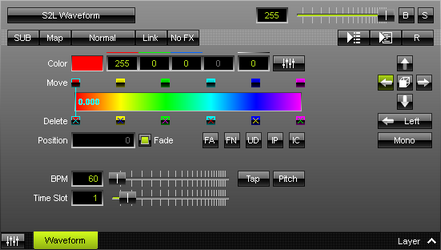 The user interface offers dedicated work areas for you to work with visuals [Effect Area Left and Effect Area Right]. 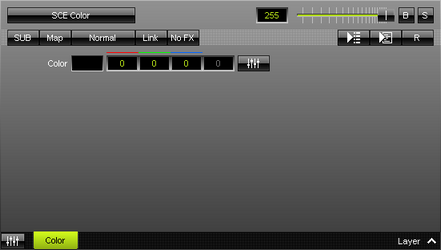 ▪ In order to have access to the Effect Areas, make sure to select the Programmer View first! 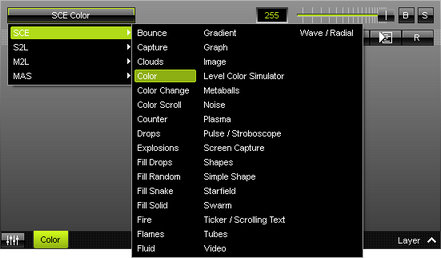 - Left Mouse Click - Allows you to select a specific MADRIX Effect from the library of stock effects. - SCE Color is the default setting. 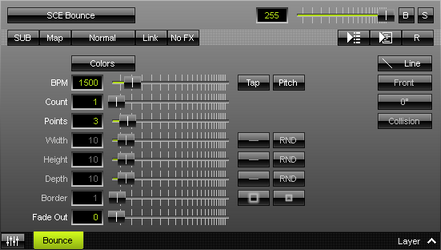 Each MADRIX Effect has its own buttons and controls. In this way you can customize your visuals as you wish. Have a look at the 3 examples below and you will see that the standard controls [see below] are always there, while the rest of them changes with every effect.